Located within walking distance of all downtown attractions such as shops, dining, brewpub, theater & museums. Many room styles, indoor pool. Explore the Beartooth Mountains and Yellowstone and come "home" to attractive inn with pool, spa, fitness room and much more. An abundance of year-round activities. Located off route 212. Laundry and snowmobile rentals on site. A business- and family-friendly hotel, offering excellent amenities, fun activities and safe, comfortable environment for all ages. Great breakfast, conference space & more. 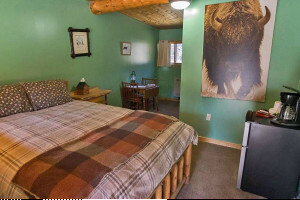 The most recognized lodging property in Red Lodge, artfully restored with all modern amenities. Fine cuisine, WiFi, meeting space, ski specials, weekend packages & more. Hotels and other lodging in Livingston, Montana.